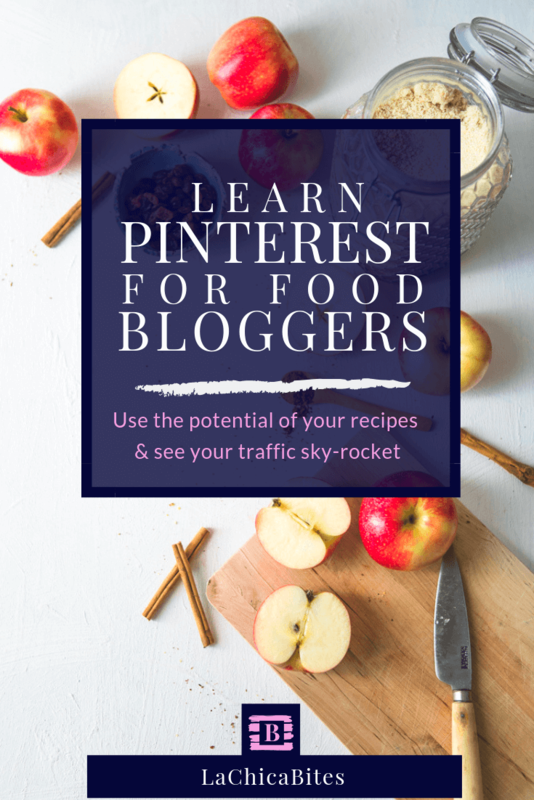 Pinterest is one of best marketing tools for Food Bloggers and Food Photographers. And it is not an statement that I throw in without any investigation. 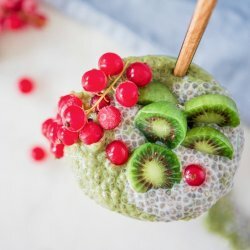 According to the numbers shown by Pinterest in 2017 and 2018; food and drink is one of the top major groups of publications on Pinterest*. 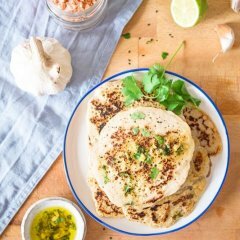 There are 200 Billion pins published and 250 Million active users per month on Pinterest, and around 15 Billion recipes, growing 21% year on year. Those numbers could be overwhelming, but with careful planning you can use it to your advantage to grow! You are probably already taking good care of your community on Instagram, building engagement on each post and comment. But, have you noticed that the numbers of clicks to your blog or site from Instagram don’t match the popularity of your Instagram account? Only if you work hard on your Stories and have the Swipe Up option, can you get a significant traffic from Instagram (to be granted with a direct link in Stories you need to have more than 10K followers. If you already have the 10K, congratulations! Maybe one day I will get there ♥). Both platforms are great marketing tools to grow your followers and drive traffic to your site. You can use Instagram to build your community and empower the engagement of your followers, whereas you can convert your Pinterest account into your food photography brand magazine or visual cookbook. Build your business store with your branding style and get sales and growth from there at any time! As a Pinterest Manager, I want you to take the lead and control of your business, using Pinterest to further your own strategy, to get more visitors to your site, engage with new and existing customers and grow your email lists to reach your dream. Are you dreaming of writing a cookbook, working with companies as a food developer, teaching food photography, or running a culinary school? I hear you. Pinterest is NOT another social network, it’s a Visual Search Engine that, like Google, requires an optimised strategy. And here’s the greatest thing for food bloggers and food photographers, this complex marketing tool works with a visual lens engine that can discern between colours, faces and many other aspects of the picture, including the descriptions attached to the image. Google, also recently applied this visual lens engine to its search, because it knows the power of searching not only among text, but also recognising elements within the picture. I am writing a new post about how to use this feature, don’t miss it! 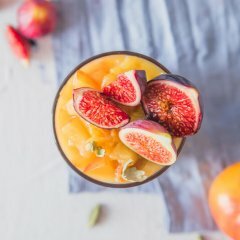 How does this visual engine benefit food bloggers and food photographers? There is nothing better that on-hands and visual examples, at least to me! Let’s take the example of this peeled apple image above. 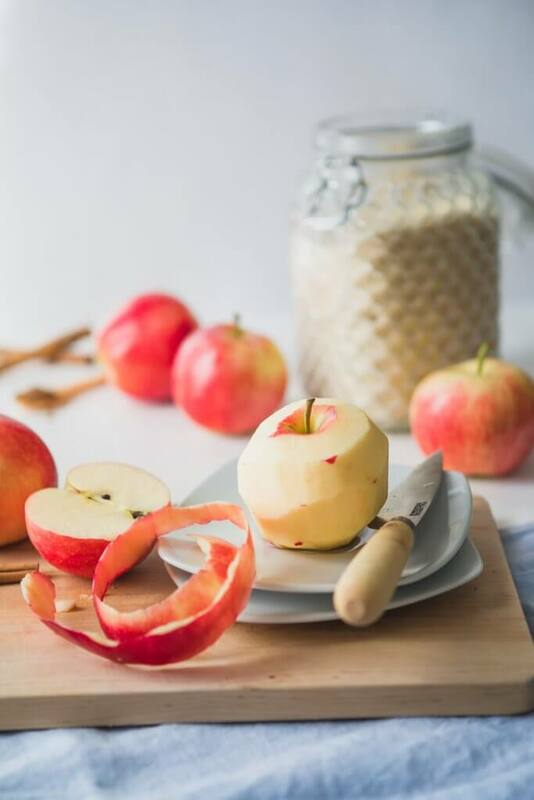 If your Autumnal or seasonal recipe contains red tones, (like these apples) it will mean that not only you will get the benefit of your seasonal ingredients in Pinterest search , but also the tone of the picture and even the accessories and angle of the photo! (these smart kids…). This image will show up as recommended pins when a user clicks on a similar photography or recipe. This is a wide opportunity to drive your audience to what you need, not only recipes, but also if you are selling services like food photography or cake styling courses. Of course, as with Google, it is important to work on SEO ranking strategies, not only on imaginary, but also to know when your followers or target audience are searching for your content and how they search for it. Using it strategically will provide you with an unstoppable advantage. I could spend all day writing about this topic, but I want to make sure that YOU, no matter which niche you’re in, should give this platform a try. It is FREE (that helps a lot, right?) and you will show your passion to many other people that will find it useful for their lives. Check my PINTEREST MANAGEMENT PACKAGES and let’s chat to find the best Pinterest strategy for your services. 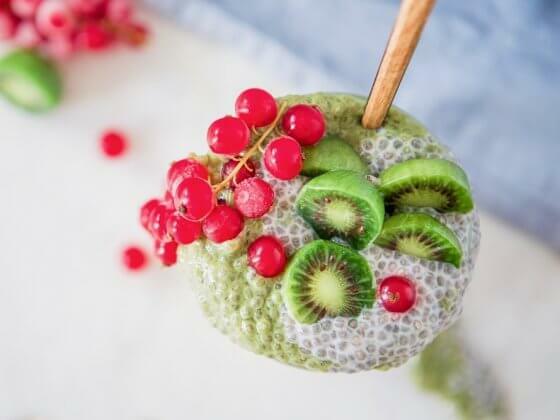 Want to receive more Pinterest tips and pegan recipes directly to your inbox? I am so excited you launched your blog and are sharing your knowledge with the world. Wishing you much success.